And the Merseyside native admits he couldn’t handle seeing Liverpool win the league. Manchester United caretaker boss Ole Gunnar Solskjaer. FORMER MAN UTD captain Wayne Rooney thinks Ole Gunnar Solskjaer is the only candidate to take the full-time manager’s job. 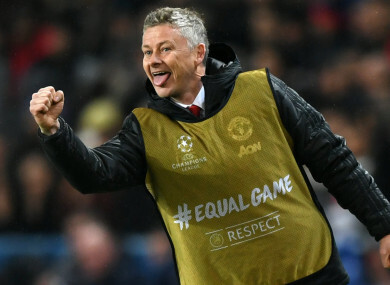 Solskjaer has revitalised United’s form and morale since taking over on a caretaker basis following Jose Mourinho’s departure in December. Although consecutive defeats to Arsenal in the Premier League and Wolves in the FA Cup have dented their campaign, United have got themselves back into the top-four race and the quarter-finals of the Champions League under their former striker. No decision on a permanent appointment has yet been announced, with Tottenham boss Mauricio Pochettino still linked with the job, but Rooney thinks Solskjaer is the obvious favourite. “He has gone in with simplicity and has brought belief back to the fans,” United’s record goalscorer told talkSPORT. “He has made the place enjoyable again to go into work every day. The staff around Carrington are enjoying working there again and that does rub off. When you see the staff happy around the players, it makes it a happy environment to work in. It has been another disappointing Premier League campaign for United overall, with leaders Liverpool 18 points ahead of them and locked in a title fight with champions Manchester City. Given his United and Everton links, Rooney admits it would be tough to see Jurgen Klopp’s side win the trophy. “It’s a great reason to be out of the country when those two are going head to head for the title!” said the DC United man. “I hope Man City get over the line before Liverpool. I couldn’t bear to see them win it, it would be a nightmare for any Evertonian. Email “Solskjaer the only candidate for Manchester United job, insists Wayne Rooney”. Feedback on “Solskjaer the only candidate for Manchester United job, insists Wayne Rooney”.